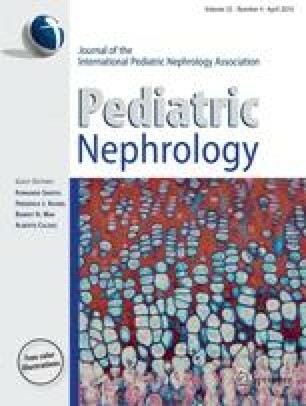 Congenital obstructive nephropathy accounts for the greatest fraction of chronic kidney disease in children. Genetic and nongenetic factors responsible for the lesions are largely unidentified, and attention has been focused on minimizing obstructive renal injury and optimizing long-term outcomes. The cellular and molecular events responsible for obstructive injury to the developing kidney have been elucidated from animal models. These have revealed nephron loss through cellular phenotypic transition and cell death, leading to the formation of atubular glomeruli and tubular atrophy. Altered renal expression of growth factors and cytokines, including angiotensin, transforming growth factor-β, and adhesion molecules, modulate cell death by apoptosis or phenotypic transition of glomerular, tubular, and vascular cells. Mediators of cellular injury include hypoxia, ischemia, and reactive oxygen species, while fibroblasts undergo myofibroblast transformation with increased deposition of extracellular matrix. Progression of the lesions involves interstitial inflammation and interstitial fibrosis, both of which impair growth of the obstructed kidney and result in compensatory growth of the contralateral kidney. The long-term outcome depends on timing and severity of the obstruction and its relief, minimizing ongoing injury, and enhancing remodeling. Advances will depend on new biomarkers to evaluate the severity of obstruction, to determine therapy, and to follow the evolution of lesions.